Do you feel imbalanced? Do you have depression, anxiety, hot flashes, night sweats, bipolar disorder, migraines, insomnia, PMS, or chronic pain? As a naturopath, with 10 years experience, I believe in looking for the cause. The cause of all these symptoms is a neurotransmitter imbalance. If you are experiencing any of these symptoms you have a deficiency. If you supply the necessary amino acids the body will restore balance and you will have improved health and moods. The happiest hormone of all, “Serotonin,” comes from only one source, and it is not a pharmaceutical drug. Serotonin comes from the foods we eat. If you eat a diet deficient in amino acids, vitamins, omegas or minerals you will have a neurotransmitter deficiency. What did you have for breakfast? What did you eat for lunch? Did you eat foods with amino acids, omegas, minerals, and B vitamins in them? If you are eating a whole food plant based diet you need to make sure that you are getting enough amino acids, minerals and good fats. The following foods are protein and serotonin-rich: avocado, banana, red plums, tomatoes, pineapples, eggplants, and nuts especially walnuts. Since all happy hormones are made up of proteins, your diet must contain enough amounts of protein. How can you add more plant-based protein to your diet? Simple, eat more plants. Beans (27% protein), lentils (36%), chickpeas (33%), peas (30%), and kale (22%) provide the greatest opportunity to get micronutrients packaged with protein. Practical solutions to add more of these include adding beans/legumes to salads, stews and soups. Use higher protein vegetables like spinach, kale, lentils, broccoli, beans and peas in each meal or recipe. And for breakfast, consider starting your day with a chickpea protein shake and add bananas, blueberries, kale, spinach, strawberries, and fresh almond milk. 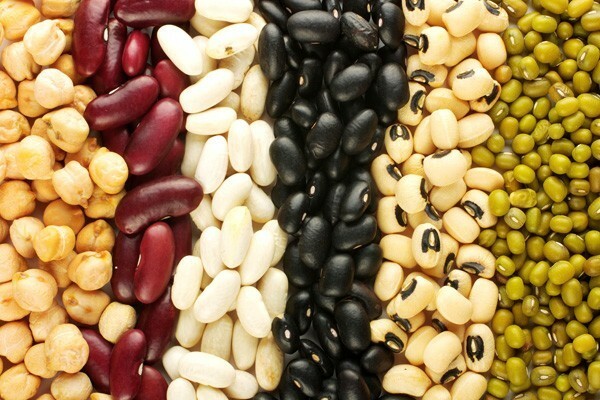 Legumes provide the greatest opportunity to get micronutrients packaged with protein. Did you know Amino Acids are the building blocks our bodies use to make hormones we need for optimal functioning and to be happy? Most people think of protein and amino acids as building blocks for muscle and other tissue; however, it is vital that the body manufacture a number of very important brain building compounds that include your happy hormones with amino acids. In order to have happy hormones you also need omegas. 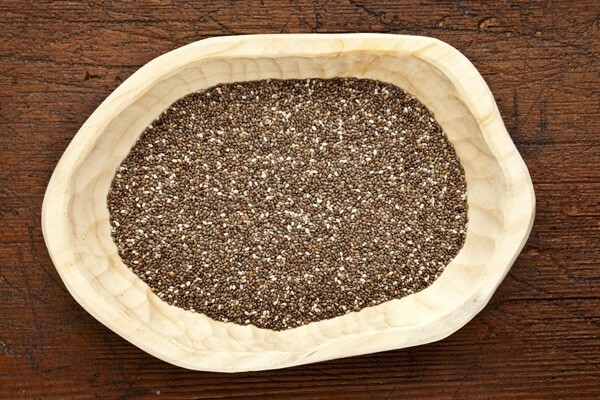 Be sure you include flax seeds, hemp seeds, chia seeds, walnuts, soybeans, and leafy greens, into your daily diet. Your brain is made up of 70% fat. 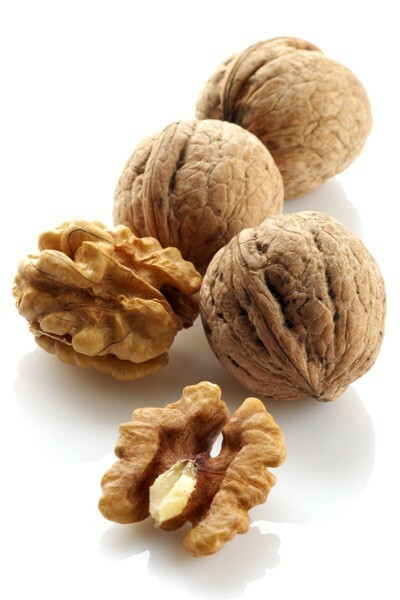 In order for your brain to function and your moods to be balanced, you must make sure you have enough good fats every day. Be sure you include flax seeds, hemp seeds, chia seeds, walnuts, soybeans, and leafy greens, into your daily diet. In order to be bio-chemically balanced you also need magnesium. Magnesium is important for chemical reactions and to keep your immune and nervous system working properly. Whole foods such as nuts and leafy greens are magnesium-rich. Unprocessed foods are rich in minerals; 1 ounce of roasted almonds will provide you with 80 mg of magnesium, in addition, ¼ cup of raw pumpkin seeds will provide you with 186 mg of magnesium. In addition, leafy greens contain chlorophyll, a great source of magnesium and minerals. 1 cup of spinach will give you 156 mg. You also need whole grains to be happy. Whole grains are what makes your brain work and are another great source of minerals. One cup of whole grain oats or bulgur wheat provides you with ¼ of the daily-recommended amount. Your body also needs B vitamins to function at its best. B vitamins play a part in every chemical reaction in your body. To help you deal with stress and be bio-chemically balanced, be sure to add bell peppers, spinach, baked potatoes with the skin, green peas, yams, broccoli, asparagus, and turnip greens to your diet. 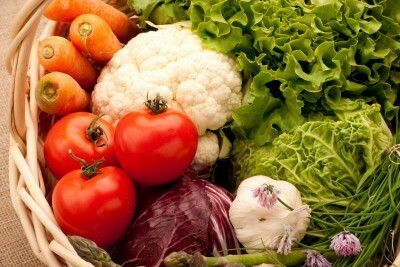 These vegetables also contain other essential nutrients. In conclusion, your endocrine system needs specific nutrients in order to keep your hormones balanced. Be sure to include these foods into your plant-based diet daily to ensure that your body is making happy happen with balanced hormones. You mention eating avocados which is what the doctor said not to eat. Perplexing. Hi Michael, thanks for commenting. Not sure what you mean, but what is perplexing is that doctors don’t know anything about nutrition and still advice people to not eat a fruit or a vegetable, but insist on eating animal foods for health. For healthy people without cardiovascular disease and/or another condition that requires severe fat restriction, and with a cholesterol level of 150 and LDL of 80 or under without cholesterol-lowering drugs, ¼ avocado a day is acceptable as part of any recipe or dish. Enjoyed you article, can you recommend any additional information for hot flashes or rosacea?